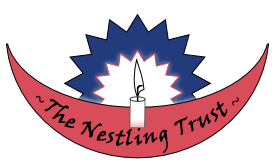 ﻿The Nestling Trust is a UK Charity established in a small Wiltshire village to provide destitute children in Nepal with a secure and loving home, in the Nepalese village of Sarangkot. The children will be given the opportunity to regain their childhood, receive health care and an education as well as having the opportunity to learn skills such as tailoring, computer technology, farming, food preparation etc necessary for attaining jobs in the future. 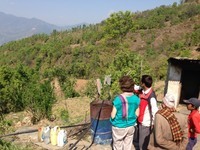 The Trust also supports programmes to provide basic health care and health education to villagers in the remote areas of Nepal. ﻿ Sept/Oct '16: 4 months after being caught up in the earthquake Sue returns to Nepal to further TNT projects and relief work. Excerpts from her diaries have been broadcast on BBC Wiltshire radio. 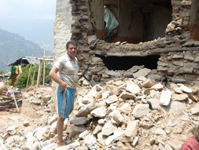 April/May '16 - Monitoring visit to Nepal by TNT - diary excerpts record 1st anniversary of earthquake, what the effects are now and what is being done. Ironically and tragically the earthquake struck Nepal 5 days after instruction was given to commence construction of the Children's Home at Sarangkhot. 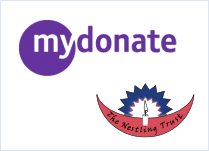 Inevitably the start was delayed and the Nestling Trust focussed on Humanitarian Relief work. On 12th September 2016 the foundation stone for the Children's Home was finally laid with completion expected by the end of 2017.